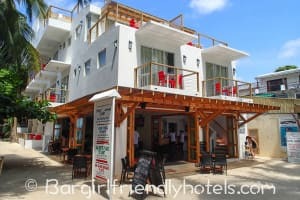 All the guest friendly hotels stated below are located on Boracay island and within walking distance of the main disco bars known for it’s bargirl freelance action: Cocomangas, Summer Place, Guilly’s and Club Paraw. 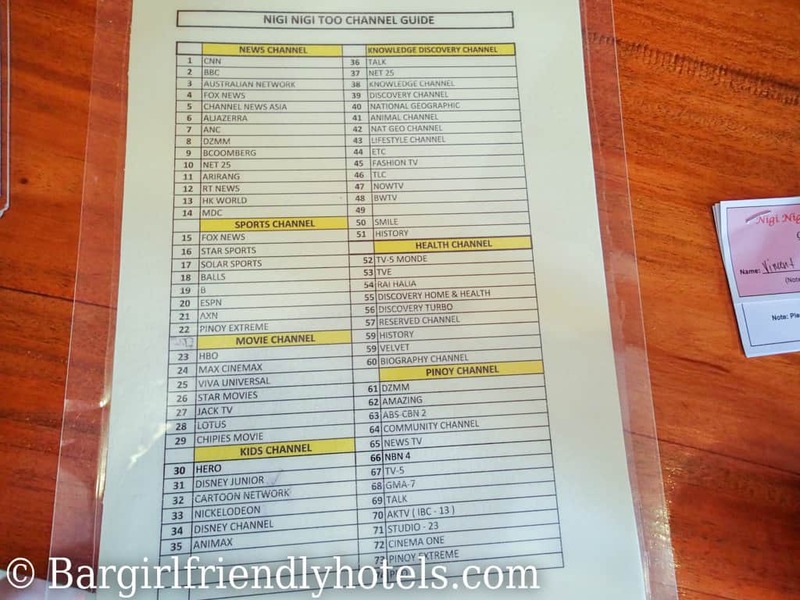 The establishments in this list are all very popular with like minded visitors and I have personally taken the time to contact each and every single one of them between October and November 2016 to make sure their guest friendly policy is still in effect. Replies provided by hotel management can be seen at the end of each individual hotels description. 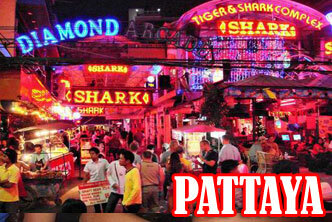 So, Where is the action at in Boracay? 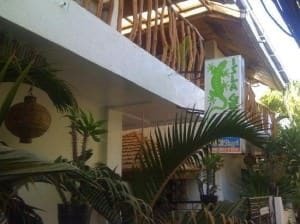 Things are definitely low-key affairs in Boracay, so don’t expect flashy neon lights showing you the way to any of the many strip clubs on the island, they don’t exist. 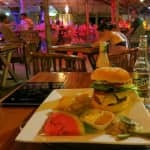 What Boracay does have to offer is a very lively club scene, which also means a very active freelance scene. Though obviously not on the scale of a Manila or Angeles city, the island should have enough bar girls to keep you busy for a while. Anyone interested in trying out Boracay’s freelance scene should concentrate their time in one of the two most popular clubs: Cocomongas (9PM-10PM onwards in Station 1) and Summer Place (11 PM onwards in Station 2). Girls for hire can also be seen along the beach road at station 2 in various locations hiding in the dark and will approach you as you are walking past them come out of nowhere often 2 or 3 at a time. 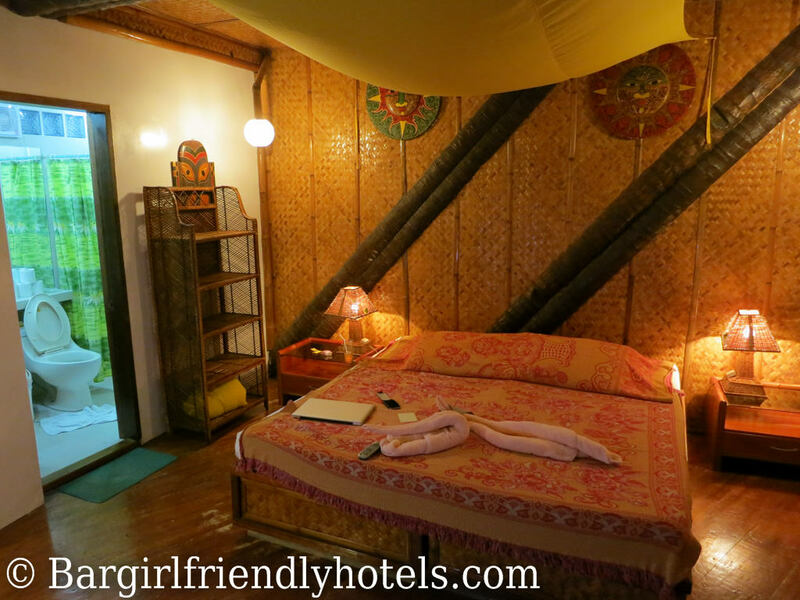 But just what is a Boracay guest friendly hotel? 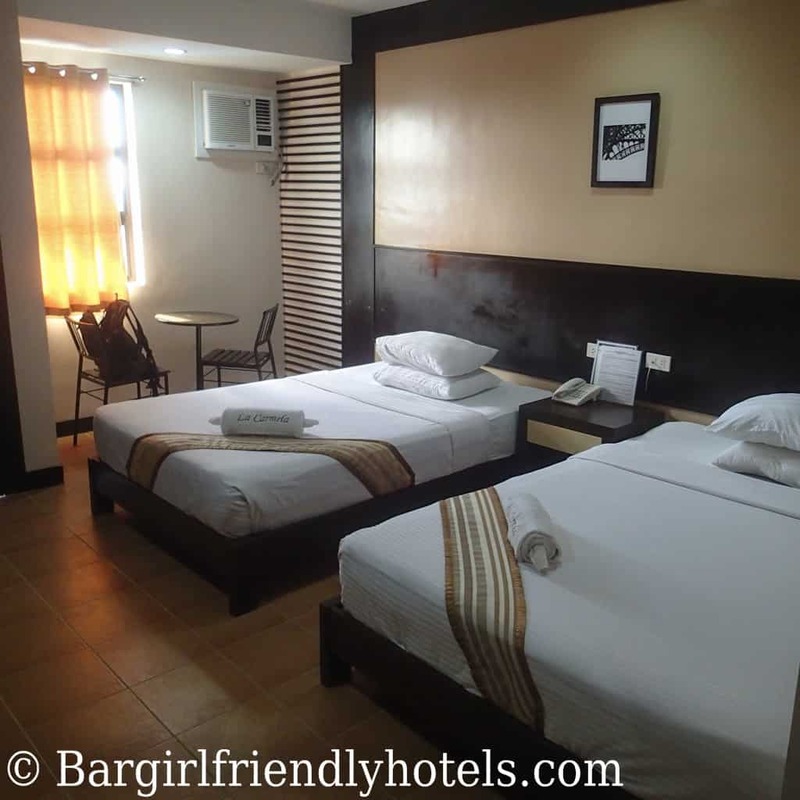 A hotel that is considered guest or Guest Friendly / Bargirl friendly/ Girl Friendly simply means that the establishment will accept you taking back an unregistered guest up to your room without charging any extra. A joiner fee can cost anywhere around from 10 to 25$ a night depending on the hotel’s policy. So if you unknowingly book a non-guest friendly hotel and plan on taking a lady back up to your room every night then you’re going to be paying a lot more money unnecessarily or worst outright denied entry. This is by no means an indication of their respectability as each hotel has different policies as long as you’re somewhat discreet. I have taken the time to e-mail them all personally to make sure about their policy and have given their reply with the hotel description. Nigi Nigi is an institution in Boracay and one of the oldest hotels in business on the island. Proof that they keep doing a great job year after year they once again the TripAdvisor's Certificate of Excellence 2014 award. 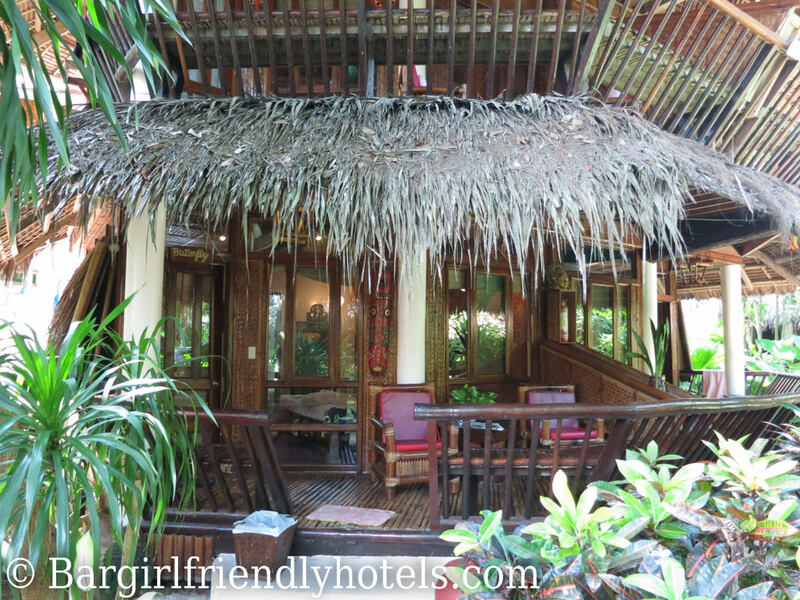 Located right at the center of all the action on White Beach beachfront, even though it's situated in a very lively spot, all the rooms are very private and on ground level, engulfed by a lush Balinese-style tropical garden making it very quiet and peaceful. 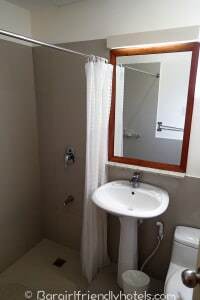 While built in native bungalow style the rooms have all the amenities that you could need (TV, A/C, fridge, bathroom, shower and plenty of space). 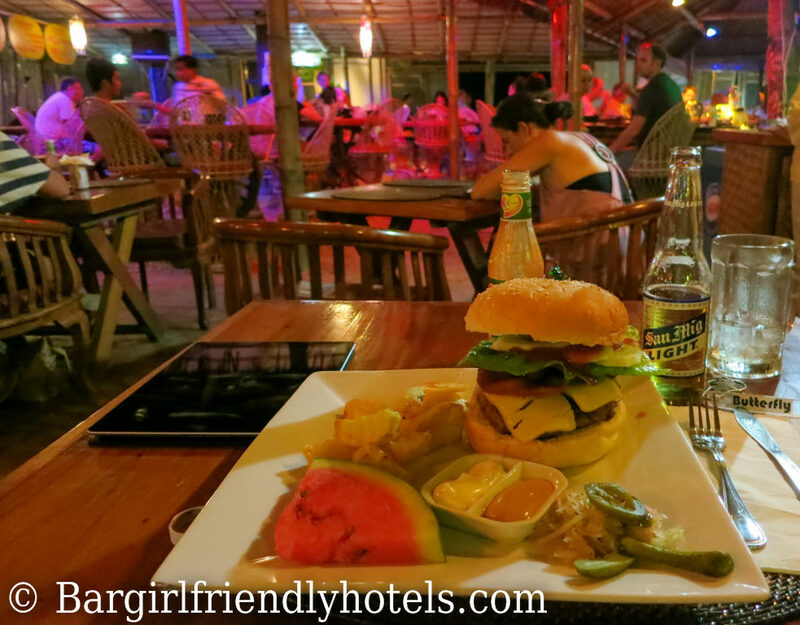 Restaurant serves great food and the beach bar is one of the best! You'll instantly feel like you're in your second home. Summer place, the biggest bar & disco of Boracay is only 5 minutes walk away so it's pretty easy to pick-up a girl like this one until late at night. Date Last Visited: Pictures were taken during my last visit in October 2012 and reflect their second cheapest room on offer: "The Deluxe room". Guest Friendly policy reply by the Nigi Nigi Nu Noos E Nu Nu Noos: "If it happens that you booked only one person and you want to have an additional one person overnight then it is okay as all our room rates are good for two persons but they have to present their ID at the reception or to our guard on duty for security purposes." After spending a week in Nigi Nigi Nu Noos Beach Resort (just above) last year and loving it, I wanted to give a try at their sister resort in station 1 this trip. 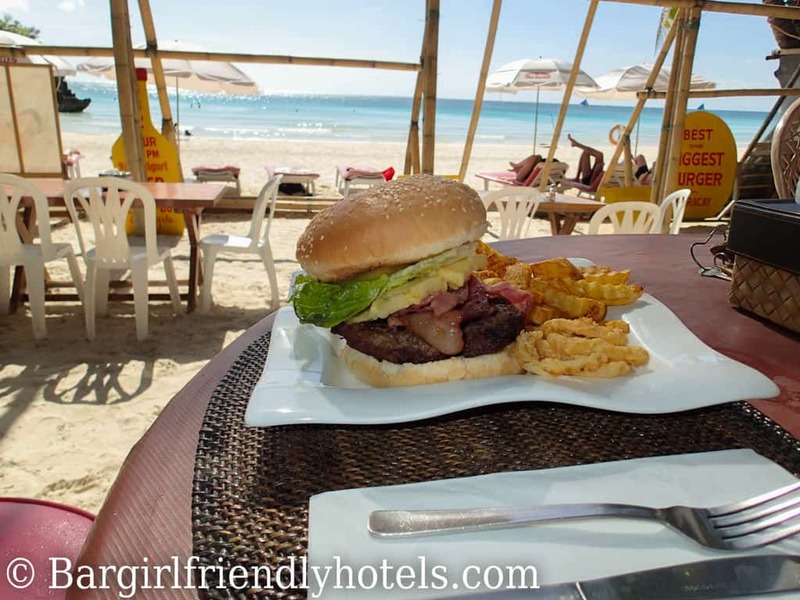 Nigi Nigi Too Beach Resort is rated even higher and won hands down TripAdvisor's Certificate of Excellence 2014 award for Boracay with a whopping 95% approval rate so I certainly wasn't disappointing! 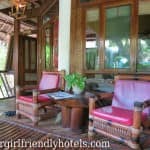 While the resort retains the original Nigi Nigi traditional decor for the bar and restaurant the huts and gone and give way to modern rooms. Not only is Nigi Nigi Too beach resort located on the most pristine part of White beach right outside Willy's Rock but it has the perfect balance between daytime relaxation on the beachfront and nightlife with Cocomangas, the best spot to pickup bar girls early in the evening less than 5 minutes walk away. Guilly's Island and Club Paraw, other freelance alternatives are also just across the street from it! My deluxe room was pretty big (±40 sqm) and tastefully decorated with a king-sized bed, large LCD TV with a good choice of channels, A/C unit was flawless, great Wi-Fi signal, small but well stocked mini-bar, inside sitting area with a table, same outside on the veranda that's separated by a full sliding glass door with a great view, bathroom was spacious and spotless (shower/no tub), proper Wi-Fi signal and the staff are incredibly friendly. Same with the security guard when I brought back this girl. Price also comes with a free daily voucher for a breakfast that's actually good for a meal anytime of the day. 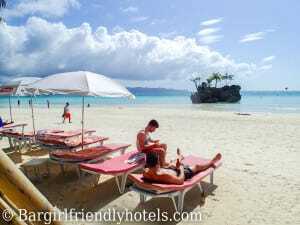 In the end not the cheapest of places but highly recommended for a 5 star experience of Boracay island. Date Last Visited: Pictures were taken during my last visit in November 2013 and reflect their second cheapest room on offer: "The Deluxe room". 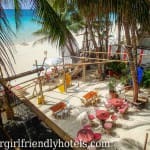 Guest Friendly policy reply by the Nigi Nigi Too Beach Resort:"You can bring a joiner as long as she can provide a valid ID, which should be presented and leave in the reception while she is in the room.."
The Azzurro Di Boracay is one of the cheaper beachfront hotels found on white beach. 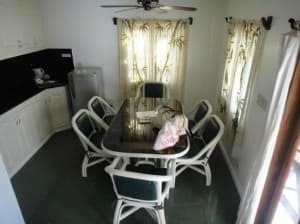 Resort is relatively small with under 25 rooms so you get an extra level of peace and privacy once inside the enclosed garden that you won't get in bigger resorts. Location is pretty good, just around where station 2 ends & station 3 starts making most of the nightlife accessible on foot but far enough from the bars and clubs to sleep well at night. Summer Place, the biggest disco on the island with the widest selection of girls available is 10 to 15 minutes walk (1.2 KM) away. The Deluxe Room is nothing special, small and basic but clean nonetheless with all the essentials covered: Queen size bed was comfy (not too hard nor springy), small fridge kept my drinks cold, air-con unit doesn't shut off automatically with a key card system so your electronics keep on charging whenever you leave the room, older generation CRT TV had cable, adequate in-room Wi-Fi signal, dresser with storage space, small safe for your valuables and a bathroom with hot and cold shower where towels, soaps & tissues were provided. The Azzurro Di Boracay is attached to a real authentic Italian restaurant with Italian Chef cooking up some great pasta, pizza and fresh grilled seafood, the price is a bit on the expensive side but the food was good. I also loved their coffee selection with some great cappuccino to start off the day with, non of that instant crap like they offer in so many other resorts. No problem neither with the Staff and security guard with me bringing a new bar girl every night. 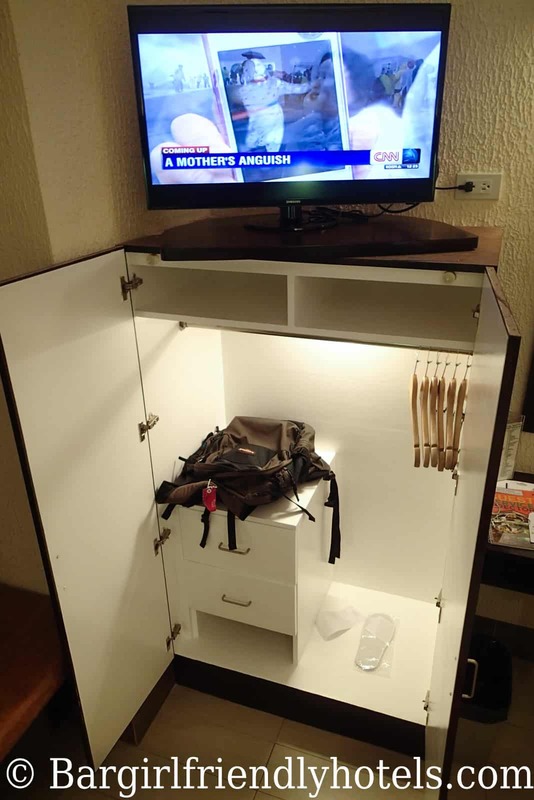 In the end I'd say I got my money's worth staying in this budget hotel as long as you plan onto spending most of your time outside your room it's fine. Date Last Visited: Pictures above were taken during my last visit in April 2014 and reflect their cheapest room on offer: "The Deluxe Room". Guest Friendly policy reply by the Azzurro Di Boracay: "Hi Mr, yes sir, that will be possible, because our De Luxe room is good for 2 Pax but she needs to provide a valid ID. Thank you, Jenn -Front Desk." 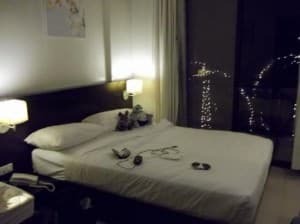 The Hey Jude South Beach Resort is a lovely all new beachfront property that caught my eye during my last November trip in so I made sure to give it a try this time around. The hotel is located near the end of station 3, one of my favorite places for lazying around at the beach during the daytime hours where the surroundings are still peaceful and quiet compared to the overdeveloped and crowded Station 2. 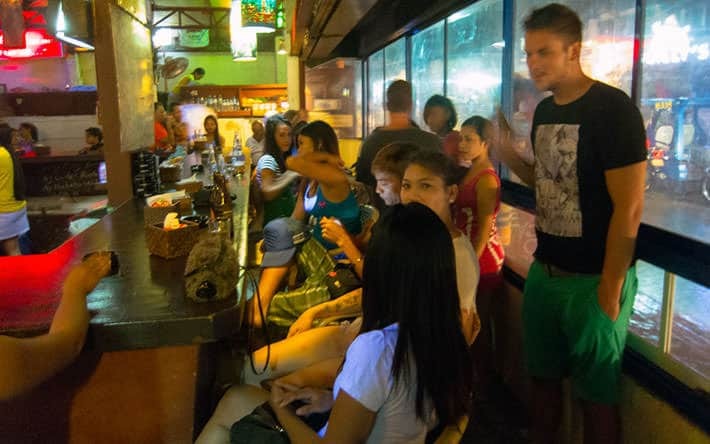 When you do want to sample some of the action or nightlife it's about a 15-20 mins walk to the area where all the bars, shops and restaurants are and 25-30 mins to Summer Place, Boracay's biggest disco with lots of freelancers available for takeout. If you don't care to walk, no problem there are tricycles/tuk-tuk available on a side street less than 5 mins away for drop-off/pickup anywhere on the island. The rooms are modern and clean with all new amenities including: Nice comfy bed, flat-screen TV with great reception and nice selection of channels, mini-bar, electronic safe, Wi-Fi, modern bathroom with free toiletries and the Superior Queen room had large balcony area with a table and chairs and direct view of the beach. FYI: The other available rooms (Standard/Deluxe) are located on the side and have only partial view of the beach. In the end it's not that's big deal of since you can enjoy the same view from the sunbeds a few steps away. 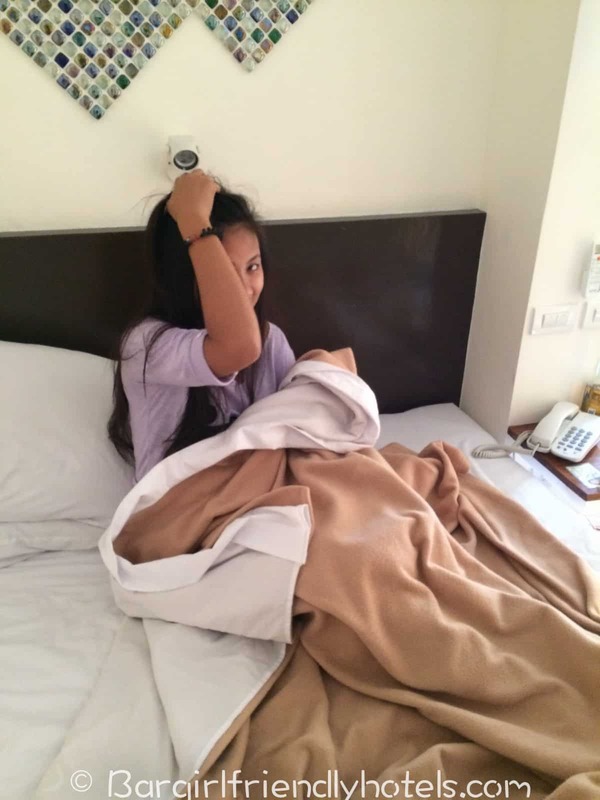 The staff is super friendly and helpful had no problems bringing back this girl at night but there is however one DOWNSIDE: They refuse outside massage girls wearing their uniform to come inside their rooms because they have their own blind-massage therapists on location. Date Last Visited: Pictures above were taken during my last visit in April 2014 and reflect: "The Superior Queen with Sunset View". Guest Friendly policy reply by the Hey Jude South Beach Resort: "Hi there, We allow local girls overnight provided that the local girls present their IDs. Hope to see you! Regards, Julie." La Carmela de Boracay is a budget category beachfront hotel located at the crossroads between station 2 / station 3 close to all the nightlife action. Summer Place, the biggest bar & disco of the island is only 10-15 minutes walk away has the largest selection of bar girls available for pickup as this is where all the freelancers end up when the other venues close or die down around 1-2 AM. La Carmela was first hotel I ever stayed in back in 2007 when this fabulous island was all new to me.. Aaaaaah souvenirs! Anyways I decided to check it out again this year, Initially booked for 3 nights in their main building then returned 2 more night in their "Executive Wing" due to Typhoon Haynan/Yolanda flight cancellations. I found both rooms to be almost identical, here is comparative shot of the room main building VS Executive Wing, the only real difference is could notice was that the executive wing one had a flat-screen TV on the wall while the other in the main building had an older generation TV so unless this is a big deal for you I wouldn't recommend paying extra to stay in the executive wing. 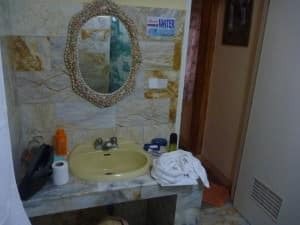 Rooms are decent and come furnished with two beds, satellite television with a decent selection of English speaking channels, mini-bar/fridge + in room safe, clean bathroom with shower that had plenty of hot water and a balcony. 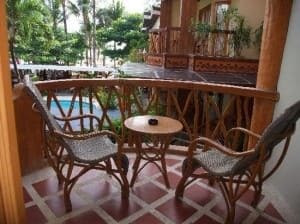 Free Wi-Fi is only in main area near the lobby, bar & restaurant, paid Wi-Fi is available in room for 100 PHP an hour. Never a single issue with the security bringing back a different girl each and every night so very guest friendly! 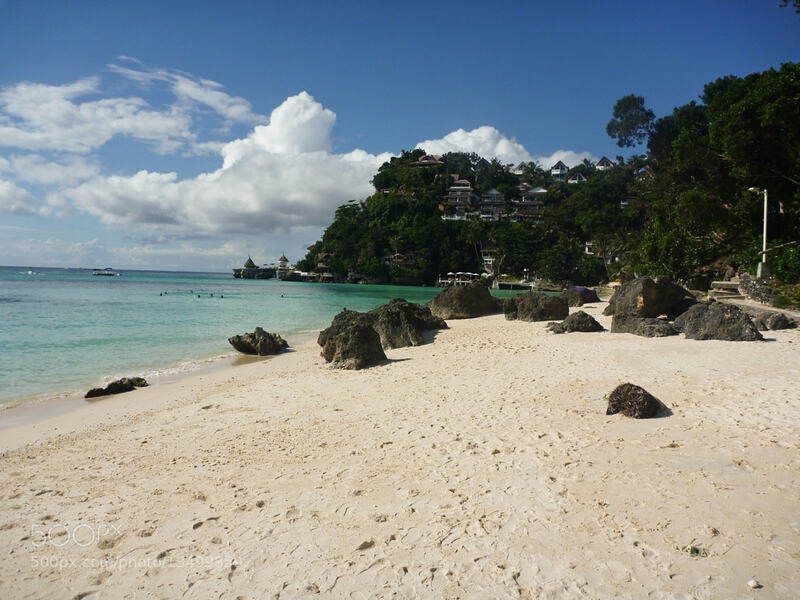 I found the rates to definitely be of good value for a beachfront property in Boracay in 2013. Agoda periodically shows some good promos for this establishment and if you just happen to stumble on one of them I wouldn't hesitate. Date Last Visited: Pictures were taken during my last visit in November 2013 and reflect the cheapest room in their Executive Wing (top 2 pictures) while the bottom 2 are taken from the basic main building: "The Standard room". 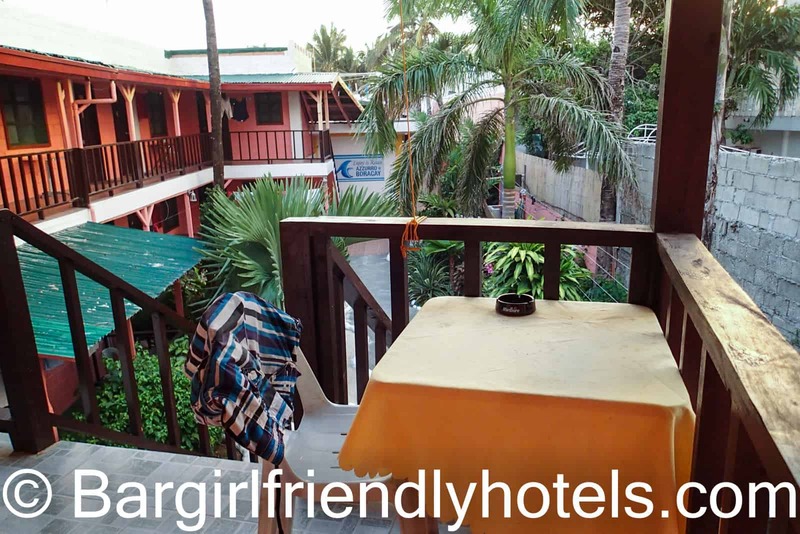 Guest Friendly policy reply by the La Carmela de Boracay Hotel: I couldn't get an answer from the hotel but I have stayed here quite a few times throughout the years and can assure you that bringing back girls at night is not a problem. You do need to make sure that she has some ID with her as the guard will request it and keep it until she leaves. 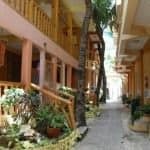 Sandwiched between the Crown Regency and Sands hotel on station 3 La Isla Bonita Hotel is one of the least expensive hotels on White Beach. If you are on a budget or don't want to spend too much this is most likely the best bang for your buck you can get right on the beachfront. 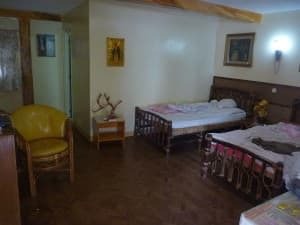 I have stayed here on my last three trips and depending of the season a room is generally always somewhere between 25 to 50$. 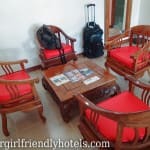 For this price you get a decent no-frills room with clean facilities, A/C, fridge, cable TV. Only complaints is that shower is a bit on the low pressure side and the bedding certainly could be better. 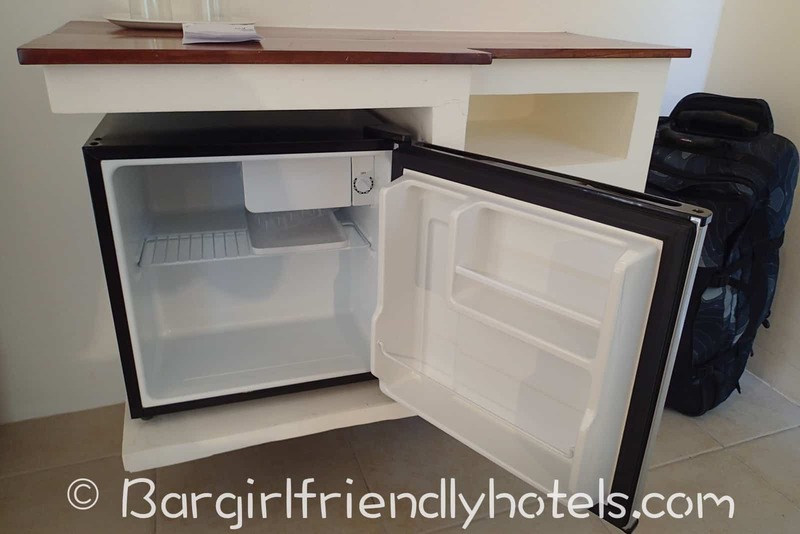 The fan rooms are even cheaper but lack a fridge to stock your drinks, safety box and TV. Staff was always very nice and had no problems bringing back a different girl every night. 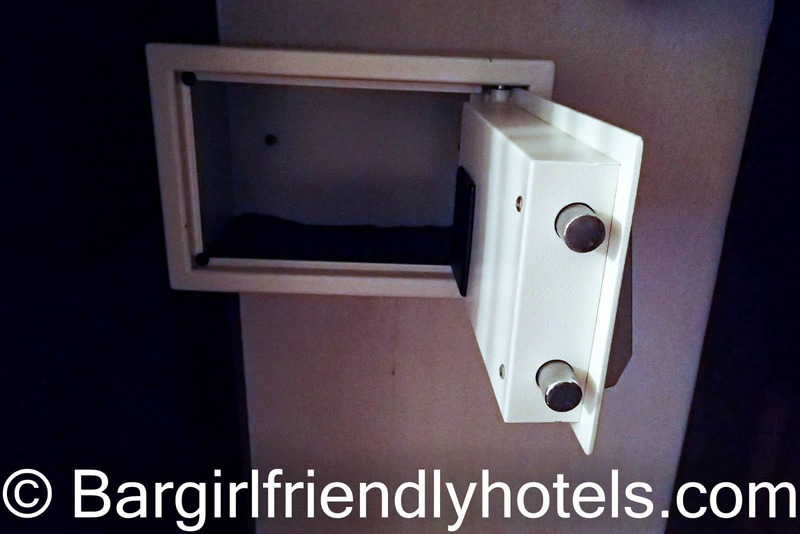 Date Last Visited: Pictures were taken during my last visit in October 2016 and reflect their second cheapest room on offer: "The Standard Aircon room". 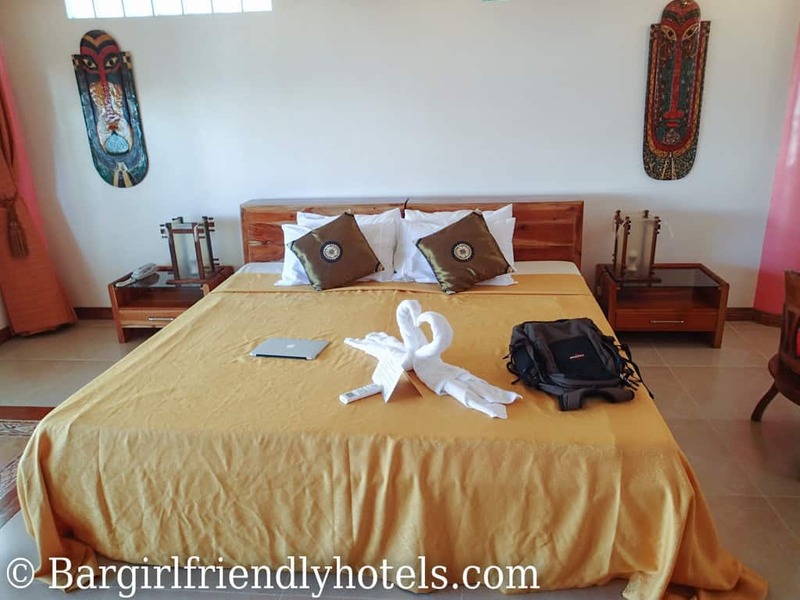 Guest Friendly policy reply by the La Isla Bonita Resort: "Thank you for your email, yes you can bring guest to your room but for safety reason,they have to registered here and present Identification card." The Microtel by Wyndham Boracay is tucked away on Diniwid beach, a quiet little cove located just 10 minutes walk north from the beginning of White Beach, the island's main attraction with it’s beautiful 4KM long stretch of sand. Even in Peak season (I stayed here last during the Holy Week 2014) crowds were non-existent and the vibe was very relaxed, sometimes you even felt you had the beach all by yourself. This said depending on the time of the year, the beach directly in front of the resort can shrink to the point of totally disappearing (here is a picture to show what it looked like in April with no beachfront compared to June when it returns) but regardless of the season all you have to do is walk less than a minute to the left to find the beach waiting. The hotel operates a free van shuttle to and from the the island's center (D’Mall) on a hourly basis until midnight, after that you’ll need to get your own ride home that should set you back around 100 PHP. Rooms are clean, modern and are equipped with 2 ultra comfortable queen size beds (I noticed they brag about their chiropractic-approved mattresses on their website but these beds really are great), silent air-conditioning unit, flat-screen TV with lots of channels located on top of the wardrobe, desk area with chair and full-sized bathroom with hot & cold shower and free toiletries. DOWNSIDES: No fridge, No Wi-Fi or a safe inside the room. 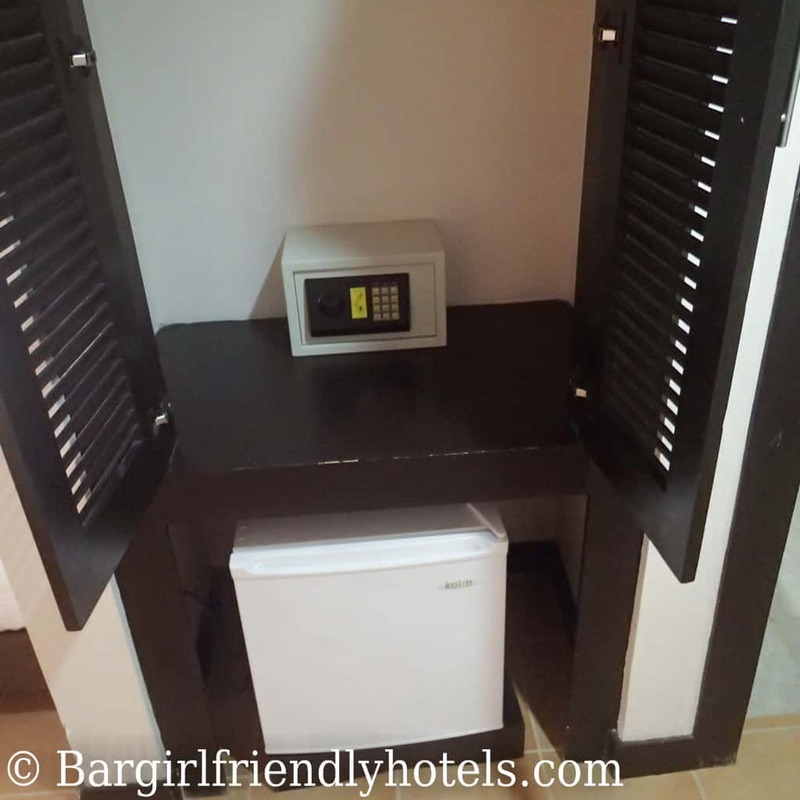 INSTEAD: An ice machine on the ground level and a water dispenser for hot/cold water on every floor, safety boxes at the front desk and free wifi only available in the public areas. 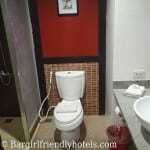 Facilities include a small pool with sun loungers near the beach front as well as a bar and restaurant. 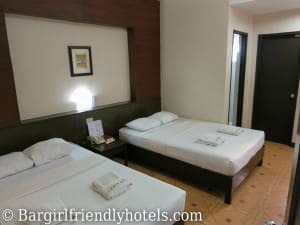 Staff was excellent, always smiling and greeting you, security is also fantastic no problem whatsoever with bringing back freelance girls from the discos at night, the Microtel by Wyndham Boracay is very girl friendly even though most of the clientele are couples and families. Date Last Visited: Pictures were taken during my last visit in April 2014 and reflect their cheapest room on offer the: "2 Queen Beds Room". 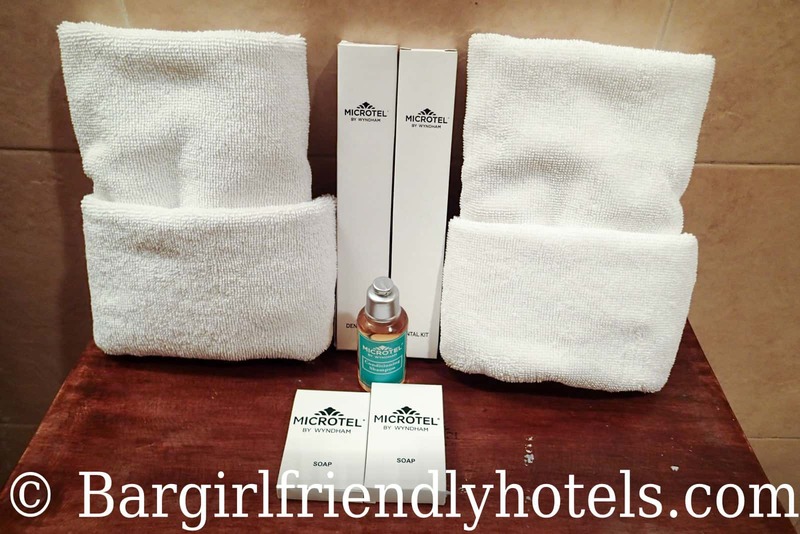 Guest Friendly policy reply by the Microtel by Wyndham Boracay: "If the reservation is already good for 2 person, then you arrived only 1 person, there will be no extra person charge if you invite another 1 person". 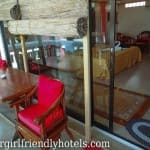 Red Coconut is a beautiful 3/4 star hotel centrally located on white beach. 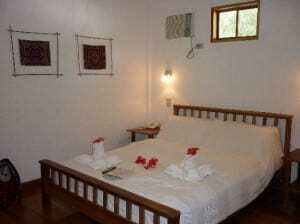 The deluxe rooms were exceptionally nice and clean and had all the needed amenities. 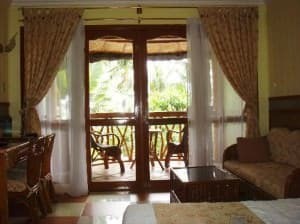 Room is spacious with a nice balcony overlooking the sea and fitted with flats screen TV, DVD player, mini bar, sofa and sofa table, free and very fast Wifi. There were even a few blue ray movies ready for you to watch. Hotel also has a nice swimming pool and bar. You cant go wrong here. Greetings from Red Coconut Beach Hotel! 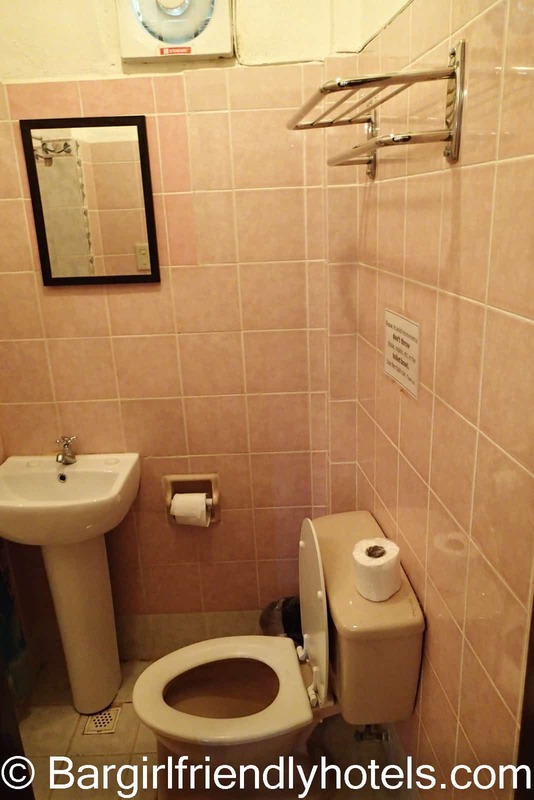 However, you guest would need to provide in ID at the reception. Guest Friendly policy reply by the Red Coconut Hotel: "Greetings from Red Coconut Beach Hotel! If you booked for two (2) people and you arrived alone, we won’t be charging you anything. 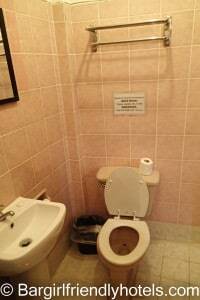 However, you guest would need to provide in ID at the reception." 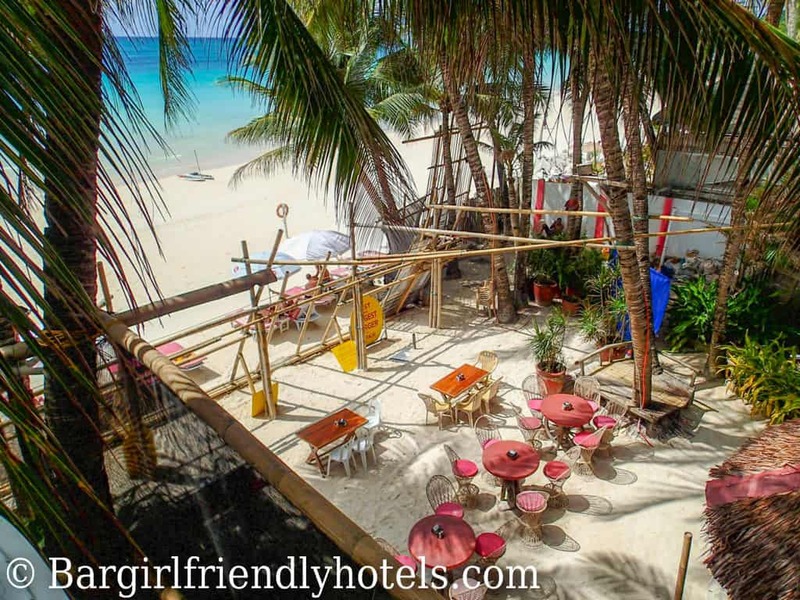 The Strands is located a 2 to 3 minutes walk from the beach on a slope towards the end of Station 1 (The prettiest portion of white beach) and is a peaceful oasis among the tourist throngs that can be found in other parts of Boracay. Also not far at all from Cocomongas one of the two main hotspots for freelancers on the island. 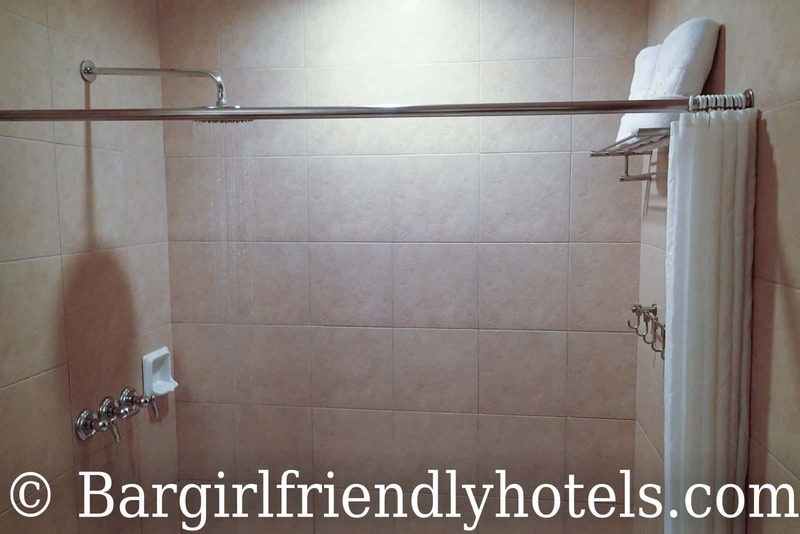 What you can expect is a four and a half star accommodation offering spacious rooms furnished with orthopedic beds, good A/C, nice high water pressure in the shower, Free WiFi, nice pool and garden Resort. The staff is also very friendly. 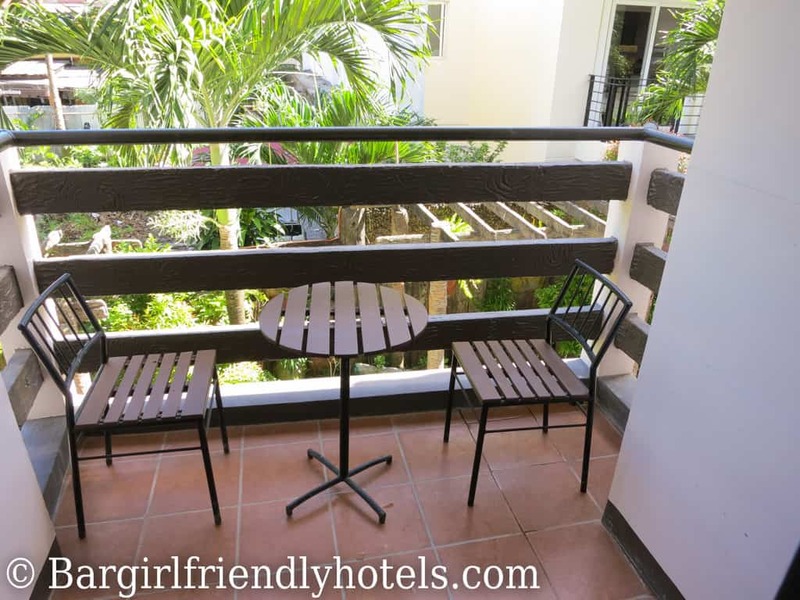 Guest Friendly policy reply by The Strand Boracay Resort: "Our room rates are all quoted for two persons regardless of whether there are two or just one person in the room. Additional charges apply only for additional persons in excess of two. And yes, we are, like all other establishments, mandated to require proof of identification of unregistered guests". The Nirvana Beach Resort may not be a beachfront as its name would suggest but the location is pretty convenient. 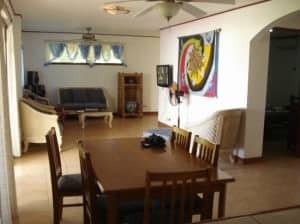 Only a five minutes walk to White Beach (station 2), D'Mall (largest shopping center of the island with shops, restautants, supermarkets) and D'Talipapa (fresh meat & seafood market). 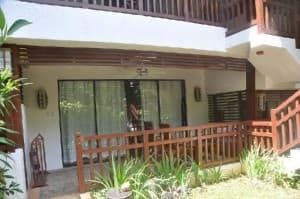 The resort offer serviced condominium/apartment type of accommodations. 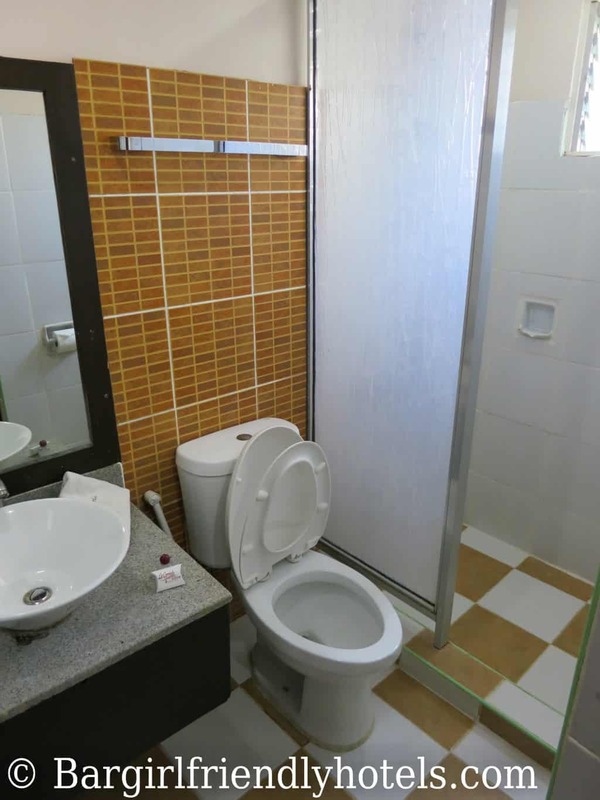 Every individual unit (good for 4 people) is fully furnished and has two bedrooms, a living room & kitchen corner, dining area, 2 bathrooms/toilets with shower and a big veranda. 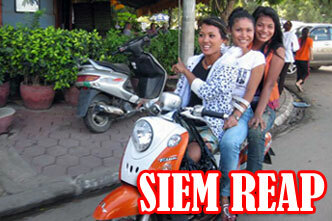 Great place to share with a buddy where you can bring back girls at night where each has his individual room. 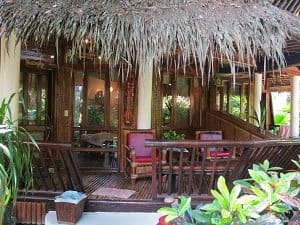 The Nirvana Beach Resort also has a small pool and bar. Only minor complains is that the free Wi-Fi signal was low at times and that the water pressure wasn't always great but otherwise a very nice place! 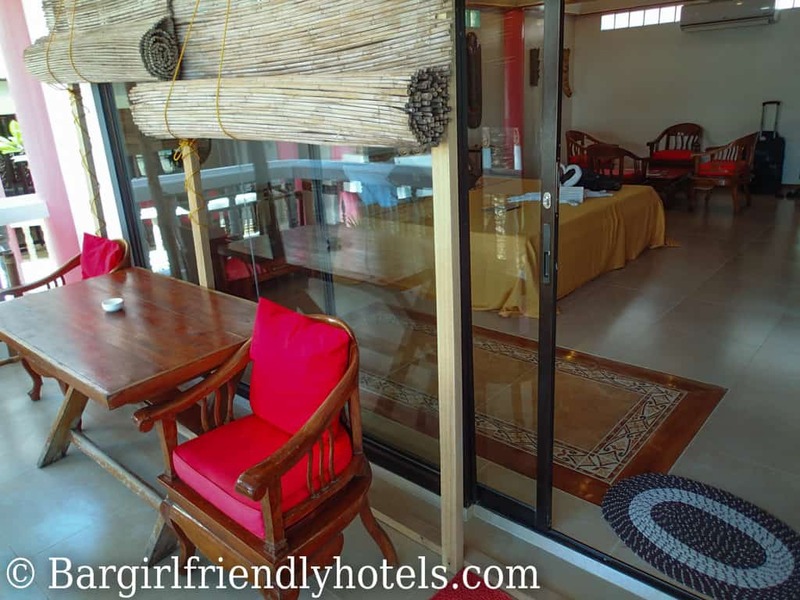 Guest Friendly policy reply by the Nirvana Beach Resort: "Good Morning, Each of our units are good for up to 4 guests (included in the room price). Our policy is to register anyone who overnights at the resort. Thanks & Brgds, Trond". This ia an all new hotel located about 3-5 minutes (220 meters to be exact!) from White Beach and conveniently located in a quiet street. The building is low-rise with 3 floors. 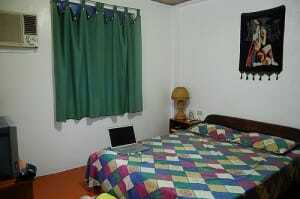 Rooms are really nice and modern, well appointed and most importantly immaculately clean. 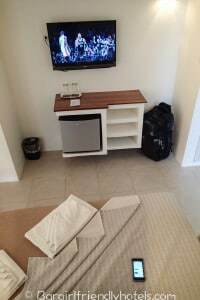 Features good quality bed, split type air-con, TV with cable, fridge, coffee/tea maker, DVD player, Free in room WiFi, hot and cold water for the shower and balcony or terrace. 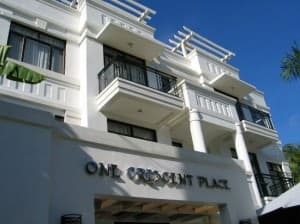 Guest Friendly policy reply by the One Crescent Place Hotel in Boracay: "It’s OK to bring a joiner to the hotel to stay in your room. For example, you booked a Deluxe Room and you are the only one who will occupy it, you can bring a person (only 1 person) without charge. But if you happen to bring two in your room, you will pay for the 3rd person. However, deluxe room can only accommodate two persons so if in case there will be three of you in the room, better try the Premier Room. 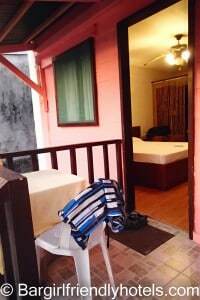 It comes with 1 queen-sized bed and 1 single bed while Deluxe Room comes with 1 double-sized bed. Please be noted". 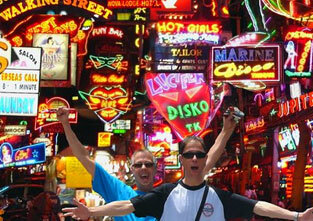 Isla Gecko is is located in a quite residential area, about 3 minutes from the beach and not far the party scene. 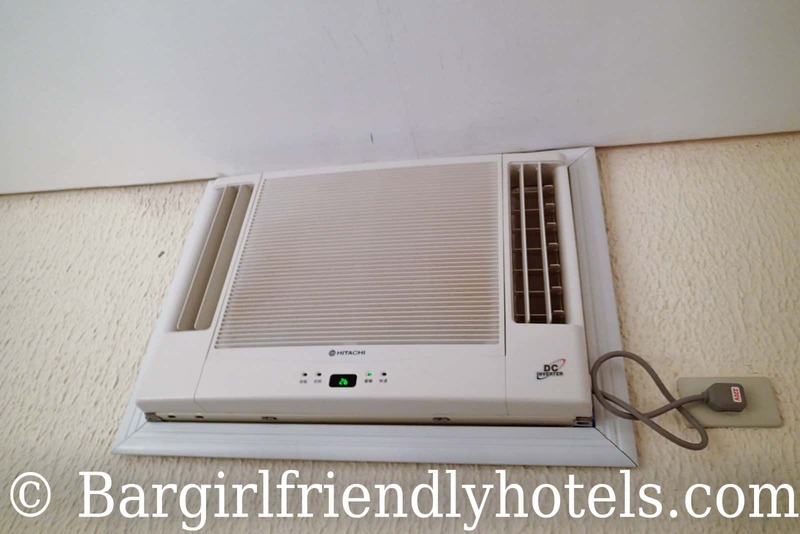 While definitely not a five star resort nor even a three star resort in some aspects the rooms were always clean with a fine working air-con unit. 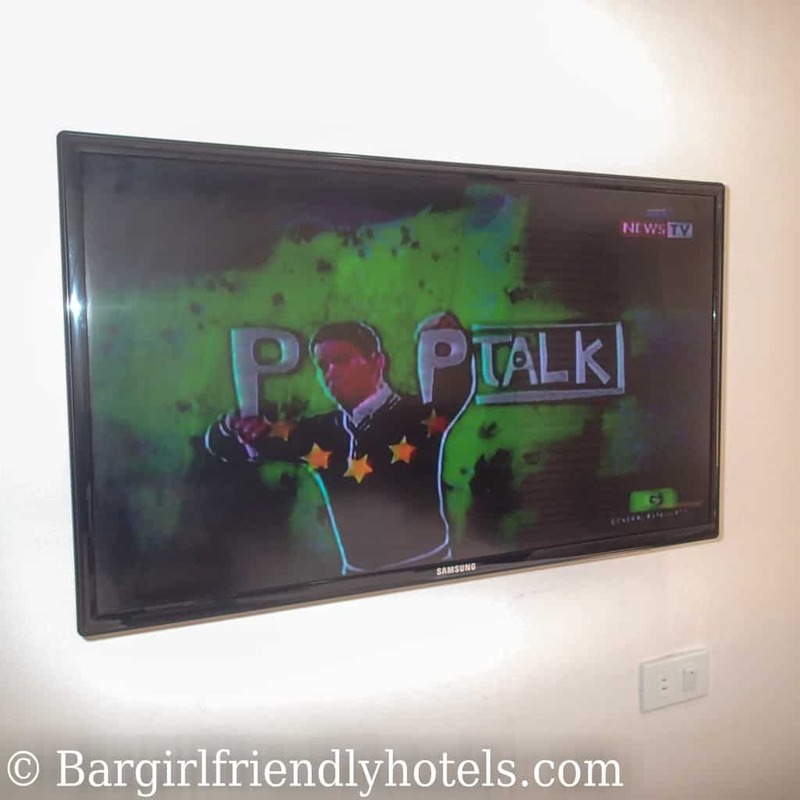 The TV came with a huge range of cable channels to choose from. 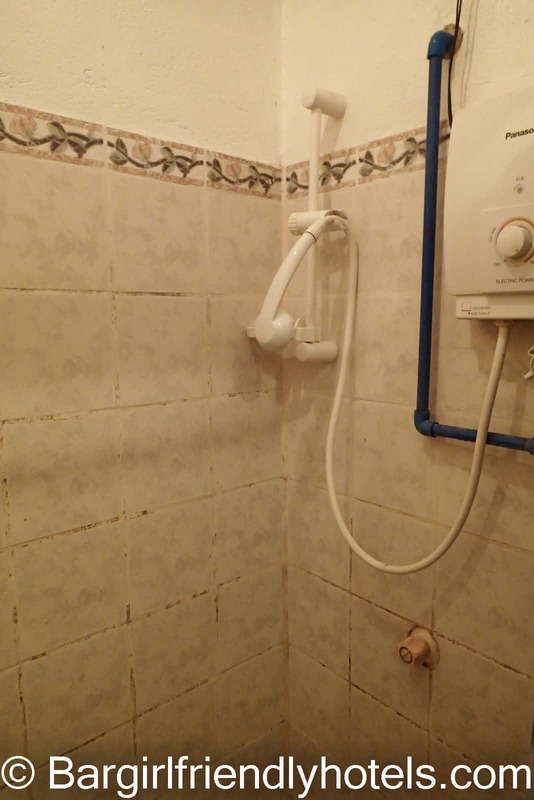 The shower's water pressure was a bit on the low side though. 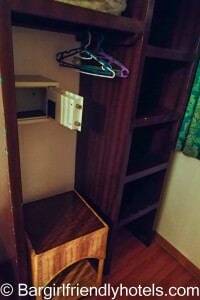 Rooms have free WiFi internet. The owner and staff was always very friendly and helpful. 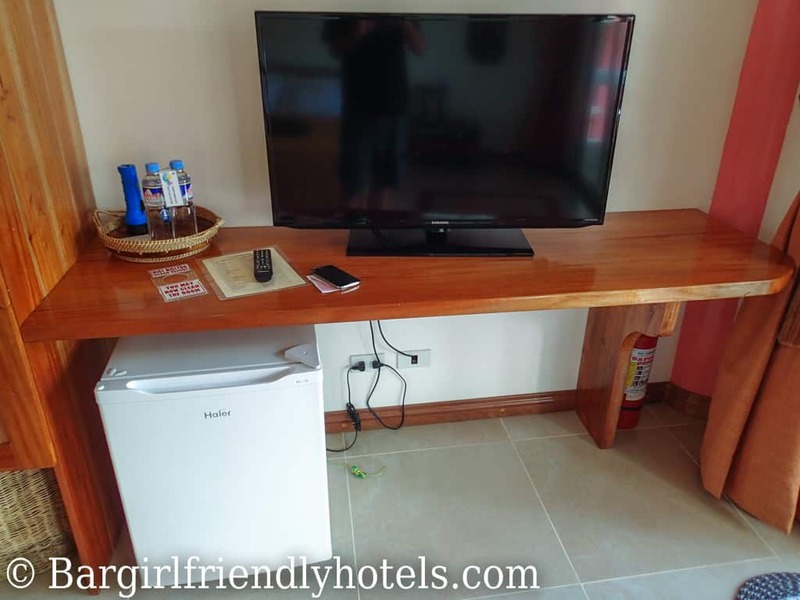 Guest Friendly policy reply from Isla Gecko Resort Boracay: "Regarding your query, registered guest(s) can bring unregistered guest based on the maximum allowable of the room. Meaning if you get a standard room for two people than the maximum number of occupants is two".